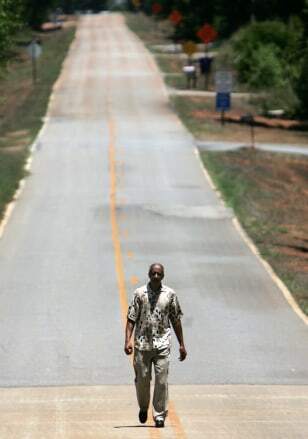 Civil rights activist Bobby Howard walks across the new Moore's Ford bridge in Walton County, Ga., in this June 5 photo. Howard has been working since 1967 — when he met the Rev. Dr. Martin Luther King Jr. at a civil rights rally — to bring the perpetrators of a 1946 lynching to justice.